SALINAS (KGO) -- There's a heart-warming twist to the story of three puppies who were found under a Salinas school building last week where they rode out the recent storms all by themselves. 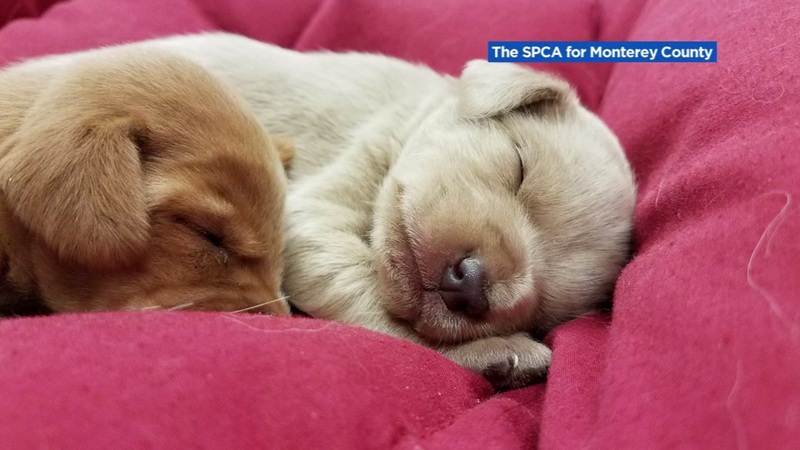 For several days, volunteers at a Monterey County SPCA facility nursed the 2-week old puppies back to health. Two days ago, the volunteers got amazing news that the puppies mother had been found at another shelter. She had been pulled from under the same building five days before her puppies and had no idea if they were still there. ABC7 News was told the mother dog took the puppies into her care without hesitation and began nursing them. Click here for more of ABC7 News' photos, videos and stories on weather.